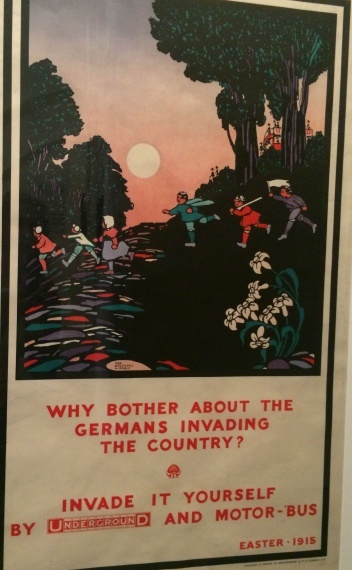 The latest exhibition at the London Transport Museum commemorates the centenary of the start of the First World War. 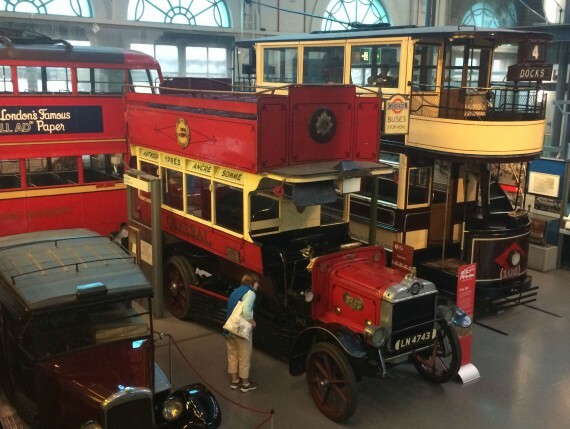 It looks at the contribution of London’s motor buses and their drivers, as well as the effect on Londoners. 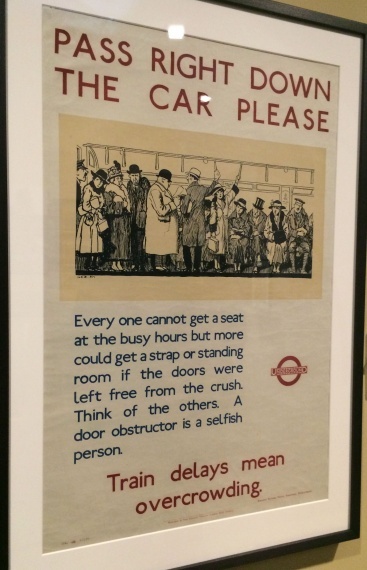 Frank Pick, Commercial Manager for the Underground Group, wasn’t keen on the government-issued recruitment posters so commissioned the Underground’s own. 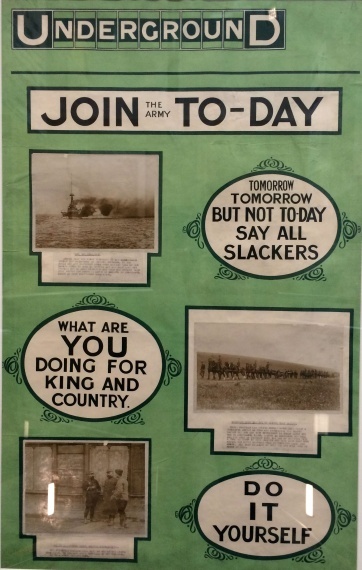 When Britain declared war on Germany on 4 August 1914 most people thought it would be over by Christmas that year but, sadly, hostilities continued until 11am on 11 November 1918. Despite it’s horror, war brought full employment. And with men away, women worked in skilled and physical tasks. 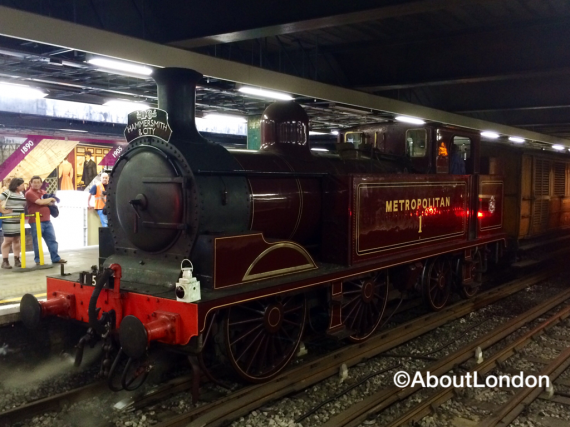 Nearly half of the women who applied to work at London Transport had been in domestic service before. And even though women couldn’t fight they did become ambulance drivers and nurses in France and Belgium. While most of the exhibition is posters and small artefacts, there is also ‘Ole’ Bill’ – a 1911 B-type bus no. B43 on loan from the Imperial War Museum. 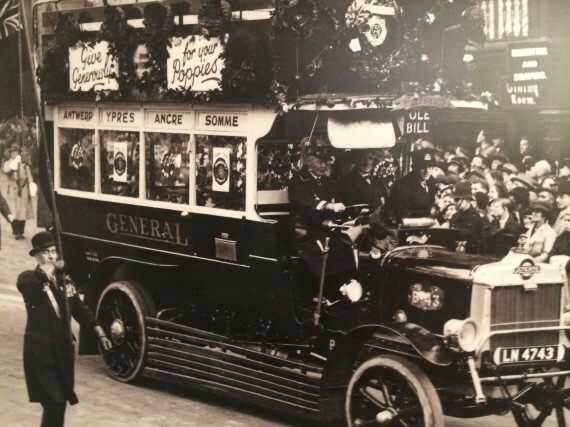 It was one of nearly 1,200 B-type buses to be requisitioned by the War Department in 1914. Of the first 75 buses sent to war more than 20 were captured. Ole’ Bill was created by Bruce Bairnsfather as a cartoon character in ‘The Bystander’ magazine. The name refers to a shell hole or ‘Ole. 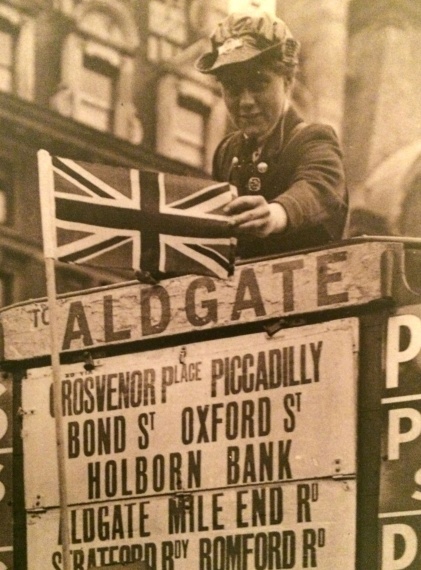 The name became synonymous with all B-type buses and became ‘Old Bill’. The B-type Battle Buses transported troops to and from the front line and were even used as ambulances and mobile pigeon lofts. 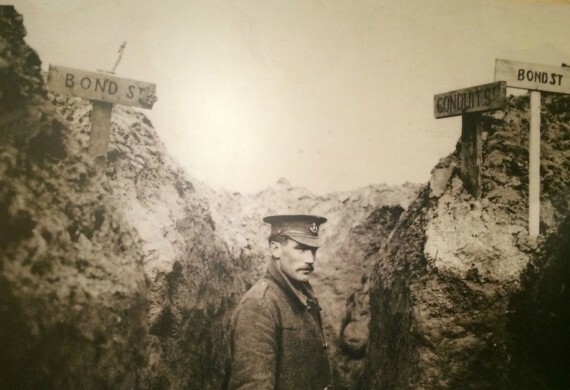 Trenches often had London street names. There are a few personal stories and I was most touched by the family photos carried by one man, Philip Bowden. He was 17 but, like so many others, lied about his age when he joined up. Yet as he took 59 small photographs which showed how many he loved and what a huge community he was from. He did return and his family donated the photos so he could be remembered. I found it a bit emotional hearing the song on repeat throughout the exhibition as my grandmother sings this over and over again. I guess it reminds her of her childhood but now she has dementia I can never ask her about it. 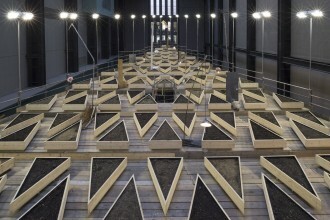 But for most visitors I think it’s not too emotional as the museum has to cater for an audience of all age groups. And there are some posters with messages we can still relate to. Entry to the exhibition is included in the ticket price (adults £15) and a ticket allows unlimited entry to the whole museum for a year. Under 17s go free. Families can try the children’s trail and there are exhibits aimed at the younger audience such as dressing up clothes and peep holes. During school holidays there are extra family activities too such as storytelling and creative workshops.